The musky sweet fragrance of a crab apple in bloom in spring is a sure way to forget a long, harsh winter. The Radiant crab apple (Malus 'Radiant') is an ornamental flowering tree regarded for its reddish pink flowers and persistent tiny red crab apple fruits that attract wildlife to the garden, especially in autumn and winter. This variety is highly susceptible to apple scab disease. The Radiant crab apple is a small deciduous tree with a broad, rounded canopy of foliage, reaching a mature height of 20 to 30 feet and equal spread. In mid- to late spring thousands of small reddish rose flower buds open to deep rosy pink flowers that attract bees for pollination. Small red fruits, 1/2-inch in diameter, ripen and reach their color peak in early fall, and persist on the bare branches well into winter. Songbirds relish the fruits. The tree's tapering oval leaves emerge in mid-spring just after the flowering starts, with foliage reddish purple in color before turning green at maturity. In autumn the leaves haphazardly becoming tones of green, yellow and orange-red. Developed at the University of Minnesota around 1940, the Radiant was selected by Dr. L. E. Longley as a choice seedling from crab apple parent, 'Hopa.' In 1957 the Radiant was released to the public and sold in plant nurseries. The USDA hardiness zone designation is zones 4 to 8, regions that have cold winters required for the tree to form flowers. In the American West, the use of the Sunset Climate Zones is more widely accepted. The Radiant crab apple is listed hardy in zones 1 through 21, and A2 and A3, up to elevations of 8,000 to 8,500 feet. Plant Radiant crab apple in full or partial sun location, where it will receive at least 6 to 10 hours of direct sunlight daily. Tolerant of rocky, drier soils, a crab apple will grow and look its finest if the soil is deep, fertile and moist and drains well after rainfall. Soil pH may range from acidic to mildly alkaline (5.0 to 8.0). This tree is not appropriate for regions with warm or mild winters with only occasional light frosts. Weeks of winter temperatures below 40 degrees F ensures vernalization, the process in which the plant initiates flower buds only after a chilling period in winter dormancy. 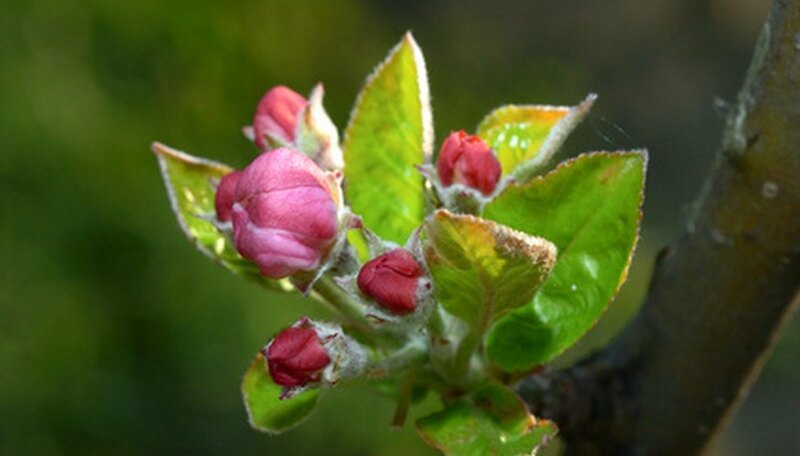 The Radiant is highly susceptible to the common crab apple disease called scab or apple scab, a fungus causing brown spot lesions on foliage and fruits. This tree does resist bouts with fire blight, leaf spot and powdery mildew. Occasionally a crab apple may be infested with tent caterpillars, borers, scale, aphids or Japanese beetles. The best defense against such insect pests is a healthy growing tree receiving ample sunlight in moist, fertile soil.